Anna Cherer (LA ROCHELLE, France) on 21 November 2018 in Landscape & Rural and Portfolio. 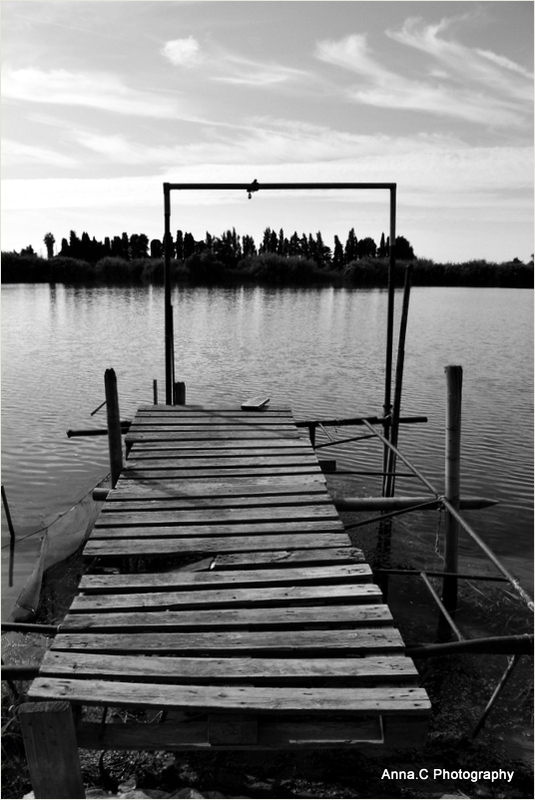 An interesting image with the rickety dock and cool river scene beyond. Love those clouds. A perilous path for sure ! Une très belle composition en NB et excellent cadrage! J'aime beaucoup! Très belle journée et gros bisous! Ce cadre en plein milieu fait toute la photo ! I like the asymmetry ! Belle composition du ponton de pêche . A mood of years passing, beautiful in black and white. The boards look a bit rickety to trust. An affective picture. Une belle image et une excellente composition en B / N... J'aime Anna! Beautiful tones captured in this shot! !